Cepeda, Raquel (March 5, 2013). 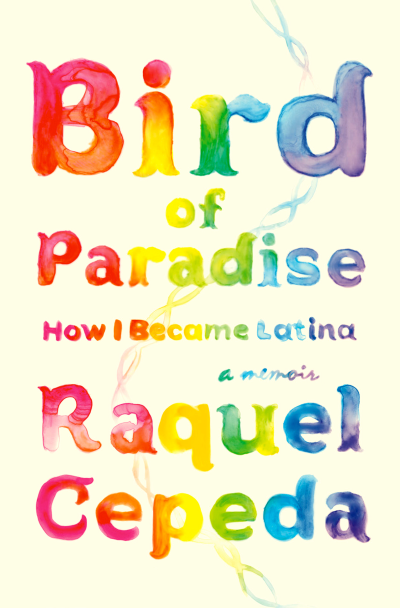 Bird of Paradise: How I Became Latina. Published by Atria Books. 336 pages. ISBN 978-1451635867. From the publisher's book description: "Cepeda parses concepts of race, identity, and ancestral DNA among Latinos by using her own Dominican-American story as one example"
I recently read a comment by Bonnie LeRoy, a professor in genetic counselling, in a newspaper article on personal genomics: "people don't feel grounded unless they have an idea of who they are through their genes". I don't know anything about the hip-hop culture in which Cepeda has made a name for herself, or what it's like to be a person "of multiple races" (her words) in a white-dominated society. I do know what it's like to not feel grounded, to be part of a family displaced and scattered around the world where finding out about our past is like pulling teeth and entails literally waking the dead. The last three generations of my maternal ancestors were born and died in different countries. The same applies to at least the last two generations on my father's side, and that line originated in a completely different place and travelled a completely different path to South Africa where I was born, and hence I also know what it's like to live in a society where confronting the concept of race and all the baggage that goes with it on a daily basis is unavoidable. I was therefore very excited to discover a new book talking to this subject. 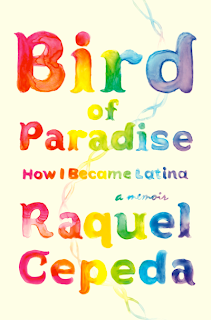 In Bird of Paradise: How I Became Latina, Cepeda explores her Dominican American identity via family interviews, travel and genetic genealogy. The book challenged my perception of what it means to be American, showing how people with indigenous ancestry are treated as outsiders and how such social prejudices do damage from the outside as well as the inside of "multiple race" families. Some incidents detailed in the book are hard to comprehend. I am inspired by the knowledge that this journey, repairing some broken links to the author's roots, has brought her family some peace. Cepeda managed, with some realistic difficulty, to obtain DNA samples representing quite a few of her ancestral lines for mitochondrial DNA and Y-DNA testing. I can appreciate how rewarding it must have been for her to finally be able to ground herself with confirmed roots in America, Africa and Europe. However, I was disappointed that the book does not mention autosomal DNA inherited from all ancestral lines, except for a Family Tree DNA FAQ regarding their Population Finder tool which does not appear to be part of the testing done by Cepeda. The direct maternal (mitochondrial) and direct paternal (Y-DNA) ancestral lines only represent a tiny fraction of one's ancestry and may reflect little to none of one's autosomal DNA as illustrated by the recent "revelation" that Prince William has Indian ancestry. While autosomal DNA testing is relatively new and the geographical analyses of this data are constantly being refined, a person "of multiple races" is an ideal candidate for such analyses as it is relatively easy to separate autosomal DNA inherited from different continents. Autosomal DNA testing is also better than nothing (other than mitochondrial DNA testing, and Y-DNA testing if one is male) for people like me with family members who opt not to spit.